I am Álvaro. I am an student and collector. I liked to collect since I was a child (toys, books...) but I started collecting seriously in 2011. 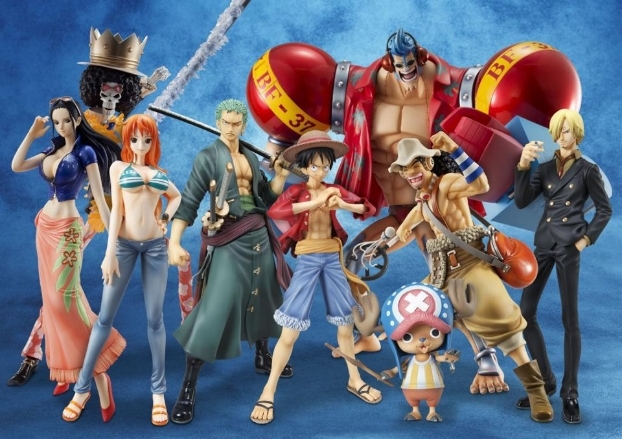 My main collection consists of One Piece but I also would buy other figures and merchandising from another series. Chibi-Arts Boa Hancock and Vivi POP Mild were my very first figures. I speak Spanish and English, mainly Spanish. I also speak a teeny-weeny of French but very basic so I recommend not to write me in French. I have a big preference on cute/pretty/beautiful female characters. Films are essential in my life and likes. I've watched films from all genres and ages. One Piece is my favourite shonen manga. It's the true spiritual sucessor of Dragon Ball. And I'm here to search figures of them! Pokémon is my favourite RPG training creature game of all time. I do enjoy most of their games training new creatures every new generation and I always like the past games. I do also like Monster. It's my all-time favourite anime/manga (along with OP). It's a shame there is not too much merchandising but I have the books and the series. A Nina Förtner figure would be nice. One Piece, Monster, Haruhi Suzumiya, Digimon Adventure, Death Note, Shin Chan. Final Fantasy X, Pokémon, Spyro and Crash Bandicoot (PS1 games), Crash Team Racing, TF2. Tatas, Beautiful women, Ponytails, Long hair, Long noses, Extreme cuteness, Chubby cheeks, Baby animals, Round things, Chibis.